Marcel Lapierre is a highly under-rated French maker, and his bows represent exceptional value for money. This is a beautifully preserved example with great playing qualities. Some aspects of bow pricing are very hard to explain. Lapierre trained with JTL, then worked for François Lotte, then began an association with EA Ouchard. His work is very similar in concept to that of Ouchard, but he chose to stay in Mirecourt rather than head for the bright lights of Paris and New York, and for this reason he never gained the same level of recognition. 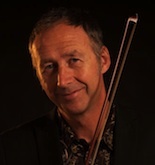 Yet this is an outstanding bow – the wood is spectacular, it plays beautifully, and the execution is very crisp. The condition is unusually good – the bow retains its original lapping, and there’s hardly any wear. Inexplicably the ferrule has been replaced – perhaps some incautious rehairer lost the original! Players rave about EA Ouchard’s bows, but a good Lapierre is a very similar thing. It’s a very powerful stick, but still giving good feedback and drawing a clear full tone. It can’t be easy producing a strong stick that still has tonal character – few makers seem to achieve it, and often the power comes at the expense of musicality. But in this bow we seem to get a very happy balance – there’s no limit to how hard you can push it, but the sound is always full and clean. It’s also very robust without undue weight, and it still feels easy in the hand. Excellent crisp attack, very good recovery, articulate and punchy – a great bow for a power player. 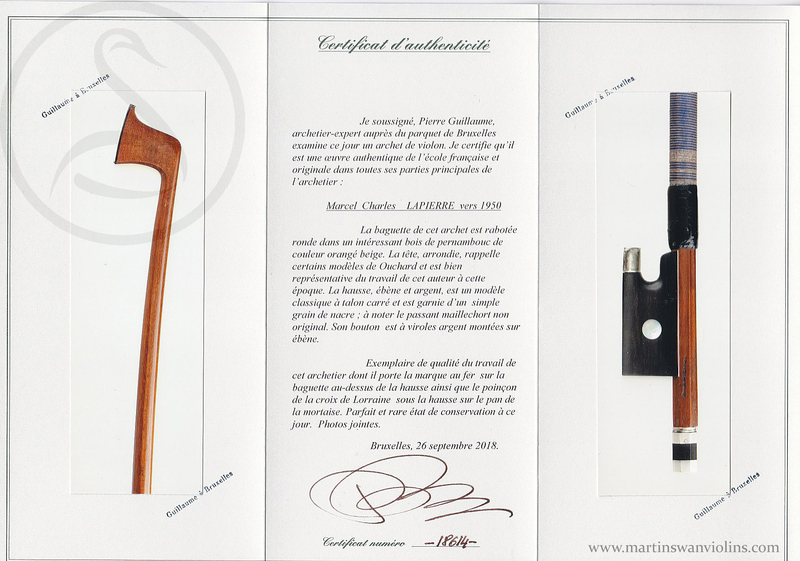 Interested in this Marcel Lapierre Violin Bow? Look at other violin bows in this price range.